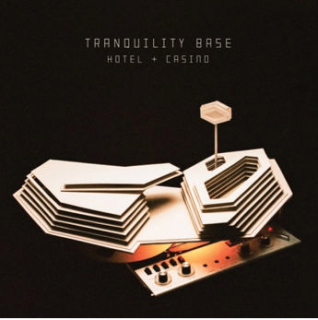 Arctic Monkeys : Tranquility Base Hotel and Casino album download | Has it Leaked? It's finally announced - And set for a May 11th release. Arctic Monkeys' new album is titled Tranquility Base Hotel & Casino and being described as "a bold and brilliant album reflecting Turner’s ever more comprehensive creative vision." The album features the tracks Star Treatment and One Point Perspective. A Domino rep went to a listening party in Norway where the album was played. I was told the album was indeed a concept, but that it sounded "a lot like an Arctic Monkeys album". No single release date has been published internally at Domino, but that doesn't mean there can't be a surprise single release. It's not like they need PR in advance to get the hype going. But there is going to be a "special thing" being released ahead of the album but I don't know what it actually is, or if it's single, tour announcement or something completely different. Stay tuned! "“I just wanted to be one of the Strokes, now look at the mess you made me make/Hitchhiking with a monogrammed suitcase, miles away from any half-useful imaginary highway.”"
It’s also been revealed that Tame Impala’s Cam Avery appears on the album, and that Turner designed the structure featured on Tranquility Base Hotel & Casino’s cover. An Instagram user did a live of the entire album. how come nobody has uploaded it, the vinyl is in stores already! Today’s Sunday. Most postal services are closed, and those who received the record early yesterday clearly don’t know how to/don’t wan to leak an HQ rip of the album. I would be surprised if it doesn’t leak Monday though. someone recorded an instagram live withe the vinyl playing…. How come Arctic Monkeys haven’t released any singles for this album yet? Good quality leaks are out. Where can I find the link to download their new album? Protect their integrity should it not be well received . Bet they doing Hyde park soon . That was a really nice comment! This is only I wanna need. They went a little overboard with the “Tranquility” on this record. Right after the last song my Itunes played The View From Afternoon and wow, this new record is too calm for my taste. It leaked over at Kingdom Leaks.